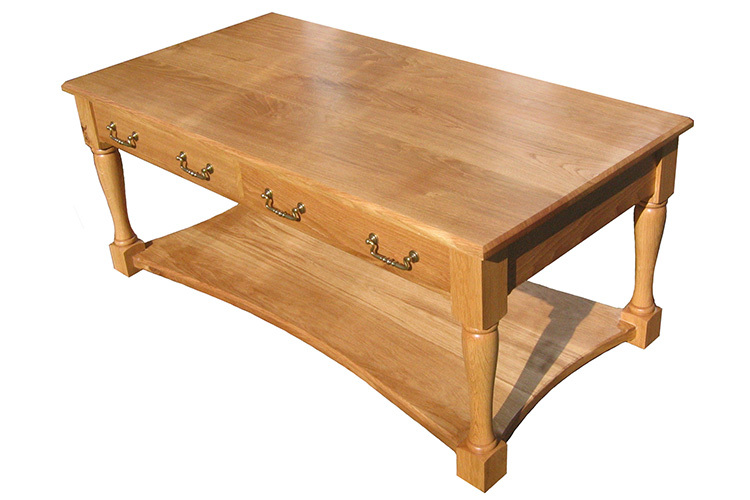 A traditional coffee table with two drawers and a magazine rack. The magazine rack curves gently between the legs. The drawer sides were made from piranha pine.